COMPLETE: As of 7:23AM, the Moodle scheduled maintenance has been completed. Moodle is now AVAILABLE. 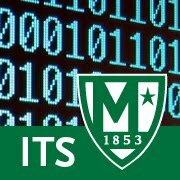 The Manhattan College Moodle system will be OFFLINE for system maintenance starting at 7AM on Saturday 9/22 to apply system updates. We anticipate that the maintenance will be completed between 7AM - 9AM during which time the Moodle system will be UNAVAILABLE.